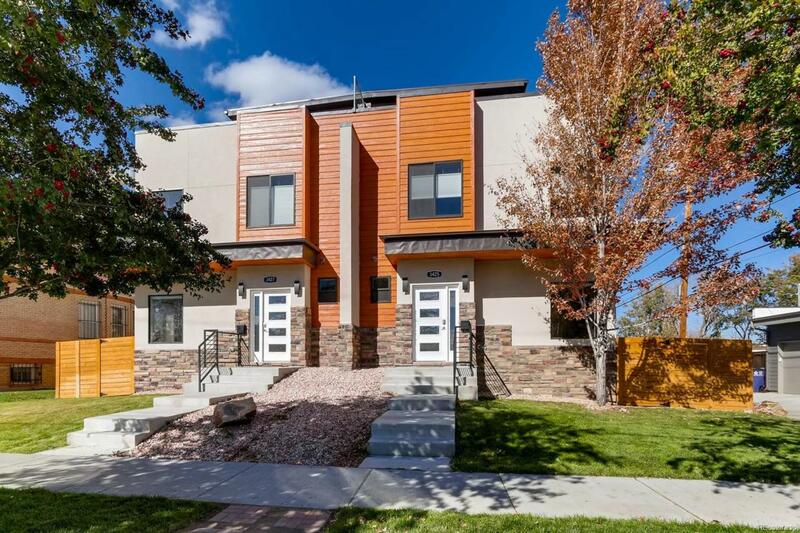 Luxurious new 4 bed/5 bath duplex in Sloan's Lake! Nothing of this size available for this price in this area! Price should be well over 1 mil for the square footage. Contemporary elegance in the city! Gourmet kitchen w/ solid Quartz slab, high end LG stainless steel, glass tile back splash w/ island for a chef! Oak flooring, solid 4x12 floating staircases, hand troweled wall finish, gas fireplace & main floor office! Master suite includes his & hers walk in closets. Secondary master suite included! Ideal second floor laundry location. Urban contemporary home features a private fenced yard w/ horizontal fencing, MASSIVE wrap around roof top balcony w/ amazing views of the Denver Skyline & the Rocky Mountains! Tons of finished space in the basement w/ storage space. 2-10 Structural Warranty included. Too many amazing things to list!! Central location & walkable amenities like parks, dining, breweries and the redeveloped St. Anthony site.